LOVE's Haven: Ways of Saying I LOVE YOU! Ways of Saying I LOVE YOU! Fourteen days to be exact, the world will be celebrating the traditional holiday on which lovers express their love for each other by sending Valentine's cards and presenting bouquet of flowers to their family and friends or it could be their special/loved ones. Expressing how much you love your spouses, kids, friends, and special someone should not only be done during this day, but every day instead! But this day is mostly associated with the mutual exchange of love notes in the form of "Valentine's" cards/notes, along with giving presents and flowers which made it more special. * Some people may say I LOVE YOU with FLOWERS! - Some women prefer to receive flowers on Valentine's Day because they find it as the most romantic way of expressing love. So true, giving of flowers is a classic symbol of true love. - Some women find it also romantic to receive such simple presents that their men could express their feelings in writing. - Some women prefer to receive sweets over flowers because they just want to. Actually, it all depends on the type of girl you want to express love with. - Some women also wants a material present which they can keep for life. It’s true that it is well appreciated to receive such from your loved ones. But it would be so nice if not only those tokens of love that will do the work of saying what you or they really feel inside. One really has to say the words “I LOVE YOU” from the heart! Everyone needs to hear the words of love. So not just during Valentine's but today, tell that special person “I love you” not just with flowers, chocolates, cards, and materials presents and so on and so forth but with words. 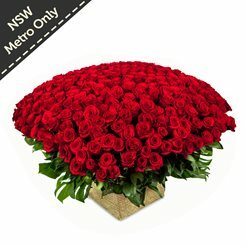 To my friends and cousins in Australia, it would be so nice if you can just order Valentines Day flowers online from FreshFlowers.com.au. 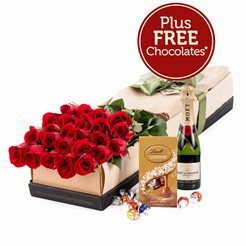 You guys are lucky enough to take your orders online and select the perfect gift for your special one as well as enjoy their great services. How I wish we have an online site like this in our country because I want their wide variety of beautiful flowers plus the unique arrangements that I have not seen here yet.